26″ Wheels, 21″ Frame, 21 Speed. 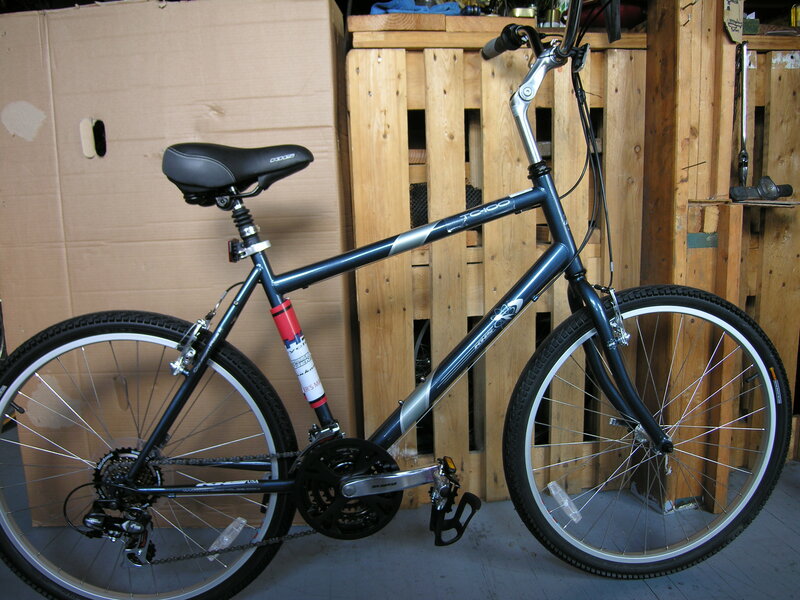 This is a nice all around comfort bicycle with wide, plush street slick tires, seat post shock and comfort saddle. Alloy Body Steel Cage Pedals with Nylon Strapless Toeclips and Stop Flat II Tire Puncture Protection Liners as Upgrades with Greenfield Forged Alloy Kickstand with Taxes as included.